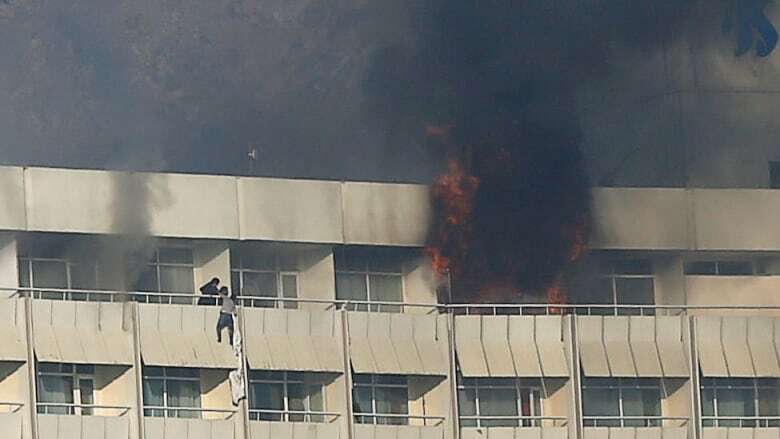 A Taliban assault on the Intercontinental Hotel in Afghanistan's capital killed at least 18 people, including 14 foreigners, and pinned security forces down for more than 13 hours before the last attacker was killed on Sunday. A Taliban assault on the Intercontinental Hotel in Afghanistan's capital killed at least 18 people and pinned security forces down for more than 13 hours before the last attacker was killed on Sunday. Fourteen foreigners and four Afghan civilians were among those killed in the siege, Afghanistan's interior ministry said. Ministry spokesperson Najib Danish said that 11 of the foreigners killed were employees of KamAir, a private Afghan airline. He added that 10 others were wounded, including six security officers and four civilians. More than 150 people, including 41 foreigners, were rescued from the hotel, Danish said. On Sunday, Global Affairs Canada told CBC News in an email "we have no reports of any Canadian citizens being involved or affected." It said it's in contact with local authorities and ready to provide consular assistance to Canadians if needed. 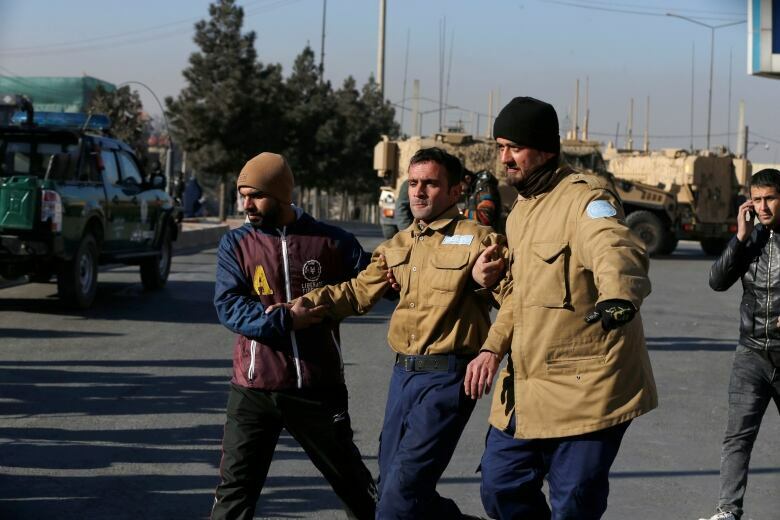 The Taliban claimed responsibility for the the attack, which began around 9 p.m. local time Saturday at the heavily guarded luxury hotel, saying five gunmen armed with suicide vests targeted foreigners and Afghan officials. Danish said the last attacker was killed Sunday afternoon. Taliban spokesperson Zabihullah Mujahid said the insurgents initially planned to attack the hotel Thursday night but postponed the assault because there was a wedding underway and they wanted to avoid civilian casualties. Six of those killed were Ukrainians, said Ukrainian Foreign Minister Pavlo Klimkin, who added that his office was working with Afghan law enforcement agencies "to clarify the circumstances of this terrorist act." A citizen from Kazakhstan also was among the dead at the hotel, according to Anuar Zhainakov, a spokesperson for the Kazakh Foreign Ministry. Afghan officials said the dead included a telecommunications official from Farah province in western Afghanistan; Waheed Poyan, the newly appointed consul general to Karachi, Pakistan; and Ahmad Farzan, an employee of the High Peace Council, which facilitates peace talks between the Afghan government and the Taliban and other opposition groups. Capt. Tom Gresback, spokesperson for NATO-led forces, said in a statement that Afghan forces were leading the response efforts. He said that according to initial reports, no foreign troops were hurt in the attack. Neighbouring Pakistan condemned the "brutal terrorist attack" and called for greater co-operation against militants. Afghanistan and Pakistan routinely accuse each other of failing to combat extremists along their long and porous border.